Tony Mott: What a Life! Chrissy Amphlett, Divinyls Live, 1980s. Exhibition organised by the State Library of New South Wales featuring the artist, Tony Mott. Australia’s premier rock photographer, Tony Mott, has captured all aspects of the rock’n’roll lifestyle through his camera lens. 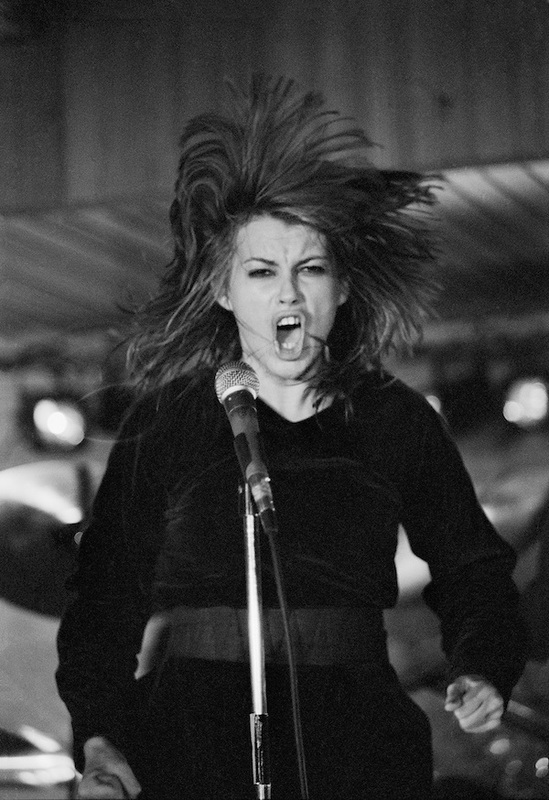 An untrained photographer, he got his break with a photograph of Chrissy Amphlett, lead singer of Divinyls. Mott went on to have over 30,000 photographs published in 20 countries and his images have appeared on 400 posters and the covers of 500 CDs and more than 900 magazines. Mott was the photographer bands asked for and his portfolio features everyone from the Rolling stones to members of the local independent band scene. From candid portraits to awe-inspiring live shots, Mott has a unique ability to connect with his subject.